Imperatoris Iustiniani Institutionum libri IV. Amsterdam: Joan & Cornelis Blaeu, 1642. This copy of Justinian’s Institutes combines a number of interesting design elements. The original text of the Institutes – in the center of the small printed page – is surrounded by later printed commentary, or gloss. This left no room for marginal notes, which this volume’s owner rectified by interleaving the printed volume with blank pages to allow for his extensive annotations. Sir Samson Eure. Doctrina placitandi, ou L’art & science de bon pleading. London: Printed by the assigns of R. and E. Atkins Esquires, for Robert Pawlet …, 1677. Interleaved with notes by Samuel Kekewich (1783). 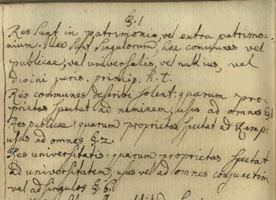 The creation of commonplace books was once a popular method of legal study. It consisted of entering notes on case law, statutes, and lectures in notebooks under alphabetically arranged topics. The printed book here, a treatise on pleading, is organized like a commonplace book. At least a century after it was printed, its owner, Samuel Kekewich, converted it into a commonplace book by interleaving it with blank pages, giving him the space to add material of his own. A selection of guidebooks for students engaged in the study of the law. Thomas Lane. The student’s guide through Lincoln’s Inn. 3rd edition. London: Printed for T. Lane, by Ellerton and Henderson, 1814. 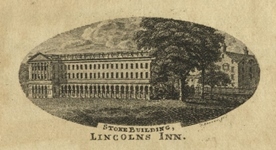 This handy guide to Lincoln’s Inn – one of the four Inns of Court – provides a host of information about the institution to new students. It notes everything from library hours to where to find the fire extinguishers, and is accompanied by this engraved map of the building. John Raithby. The study and practice of the law considered, in their various relations to society. London: T. Cadell, jun. and W. Davies, 1798. This work, presented in a series of letters addressed to law students, touches on the various aspects of legal education. Its author, John Raithby, a member of Lincoln’s Inn, knew his audience well – his first letter entreats law students to stop complaining about their position, and to remember just how fortunate they really are. David Hoffman. A course of legal study: addressed to students and the profession generally. 2nd edition. Baltimore: J. Neal, 1836. Hoffman’s Course of legal study provides a syllabus for those interested in self-studying various topics in the law. Here is an outline for a course of real property. 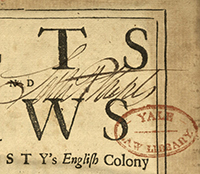 As evidence of Littleton’s enduring influence, Hoffman still recommends beginning one’s study of property law with Littleton, more than 350 years after its first publication. In Sir Thomas Littleton’s (1407-1481) time, materials for the study of law were scarce. Littleton orginally wrote the Tenures in order to help his son in his study of the law. It soon became the standard legal textbook on property law. This edition of the Tenures is particularly well suited to the student. Its size allows it to be relatively cheap as well as portable, and the extra wide margins allow for copious note taking. This copy has clearly passed through the hands of multiple owners, each of whom had plenty of room for annotations. Sir Thomas Littleton. Littleton’s tenures, in French and English. London: Printed by John Streater, James Flesher, and Henry Twyford [et al. ], 1671. 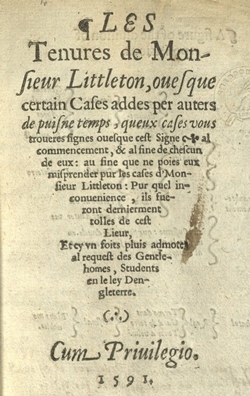 This pocket edition presents Littleton in the original Law French side-by-side with the English translation. After the Norman Conquest in 1066, Law French became the official language of the English courts for nearly 700 years. Near the end of this period, when Law French had all but ceased to be a spoken language, bilingual volumes like this were especially popular. They allowed the student to study the content of the law while also brushing up on the language skills that were still needed. Sir Thomas Littleton. Littleton’s tenures: with notes explanatory of the text of Littleton, and showing the recent alterations in the law. London: R. Hastings, 1846. This student edition of Littleton’s Tenures was published in 1846 by the editors of The Law Students’ Magazine. In the preface, the editors – obviously aware of the priorities of law students – lauded their edition for removing all the obsolete parts of the text, both so that students wouldn’t get bogged down in unimportant details, but also to make the work as inexpensive as possible. Sir Edward Coke. The first part of the Institutes of the lawes of England: or, A commentarie upon Littleton. London: Society of Stationers, 1628. Gift of William L. Frost, Yale Law Class of 1951. 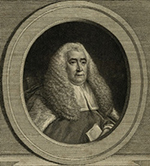 William Blackstone. Commentaries on the laws of England. 6th edition. London: W. Strahan, T. Cadell, 1774. Gift of Robert Freilich, Yale Law School Class of 1957. Blackstone’s Commentaries is the single most influential work in the history of Anglo-American law. It began as a series of lectures on the common law given at Oxford, and was eventually published in the 1760s to great acclaim. It soon became the essential text for anyone studying the law not only in England, but in Canada and the US as well. It is no coincidence that the Commentaries, which synthesized the vast unwieldy expanse of English common law, is, like the Institutes before it, organized in four books. William Blackstone. An abridgment of Blackstone’s Commentaries on the laws of England, in a series of letters from a father to his daughter. London: John Hatchard and Son, 1822. Gift of Macgrane Coxe, Yale Law School Class of 1957. 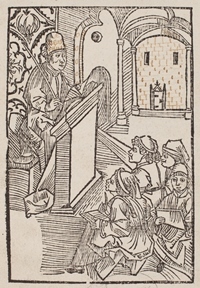 A once popular format for educational books took the key parts of a primary work and presented them in a series of “letters” or essays, written for a particular audience. This abridgment of the Commentaries takes this form – it is written as a series of letters from a lawyer father to his daughter. Griffith Ogden Ellis. Blackstone quizzer B: being questions and answers on book 2 of Blackstone’s Commentaries. 3rd edition. Detroit: Collector Publishing Co., 1896. Blackstone Quizzers functioned as early bar prep packages for students – and for only 50 cents! The author was a professor at the Sprague Correspondence School of Law, the first correspondence law school in the US, which opened in 1890. It allowed for long-distance legal education, and offered opportunities for, like women and minorities, who were barred from most traditional law schools. Asa Kinne, Asa. The most important parts of Blackstone’s Commentaries, reduced to questions and answers. 2nd edition. New York: W.E. Dean …, 1839. This set of questions and answers on Blackstone’s Commentaries is marked by a large stain – perhaps some careless student spilled their coffee? John Gifford. Blackstone’s Commentaries on the laws and constitution of England: abridged for the use of students, and adapted to modern statutes and decisions. London: Sir Richard Phillips and Co. …, 1820. This abridgment of the Commentaries is explicitly aimed at students. As the Commentaries were over 50 years old by the time of this volume’s publication, it was brought up to date with contemporary statutes and case law.